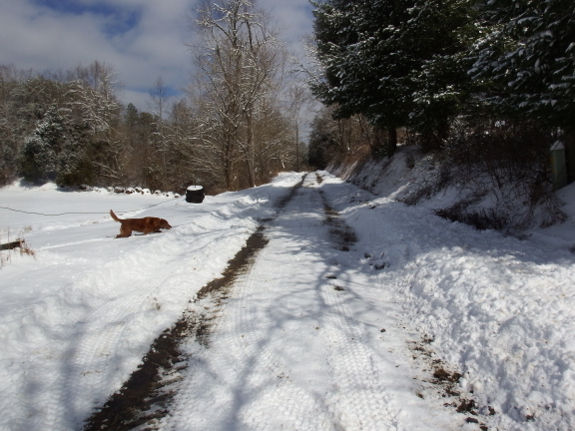 Our main access road got plowed once today, but we decided to wait till tomorrow for our regular trip to the Post Office. Well, its beautiful at least. And Lucy seems to enjoy it. its our fault, though. We seem to bring that kind of weather with us, and were planning a trip down your way this weekend. We've been snowed in, too. We barely made it home!